This is the summary of consumer reviews for Electrolux 4.2 cu. ft. Front Load Steam Washer - IQ-Touch Control Model: EIFLS55IIW (Island White) and EIFLS55IMB (Mediterranean Blue). The BoolPool rating for this product is Very Good, with 4.20 stars, and the price range is $930-$1100 (Based on color). The Electrolux 4.2 cu. ft. Front Load Steam Washer (IQ-Touch Control Model in Island White and Mediterranean Blue) is a very quiet machine with 11 wash cycles including Sanitize and Perfect Steam options. Boasting of a 4.2 cu. 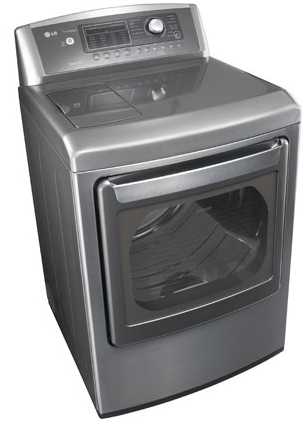 ft. stainless steel drum, this roomy washer not only sanitizes dirty socks but also handles huge king comforters. Most of the cycles finish their rotations within half an hour and the clothes come out spotless. It also has a 18 minutes fast wash cycle. Favorite wash settings can be personalized and customized and are available at the touch of a button. 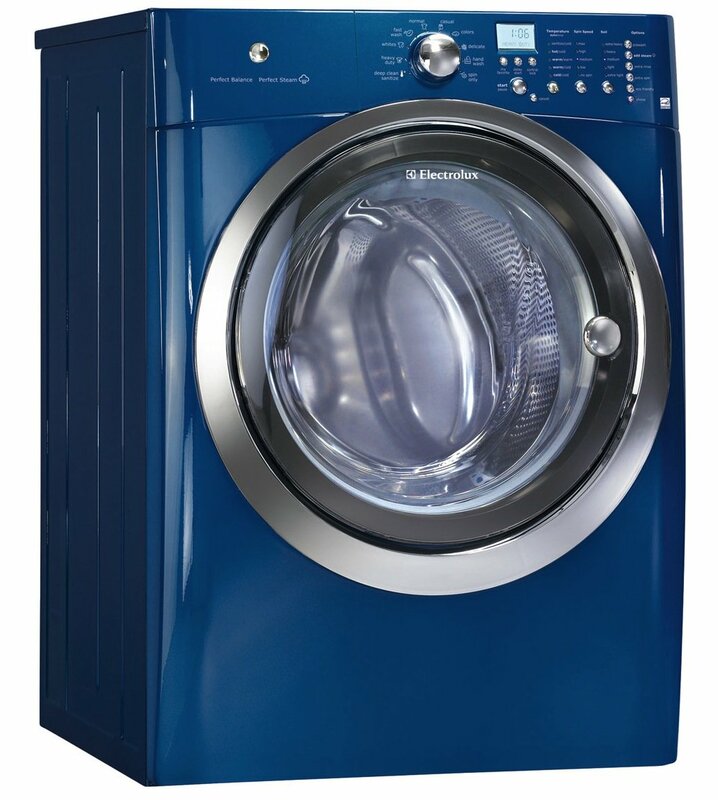 This Electrolux Front Load washer is Eco-Friendly and is 75% more energy efficient. Customers have seen a significant reduction to their water bills, as this product uses less water for its work. It features a Perfect Balance System to reduce the vibration and to keep oversize wash loads balanced for smooth and quiet operation. It is perfect for installation upstairs -- even near bedrooms. But many are on the fence when it comes to the durability of the product. While some are happy with the washer, others have encountered some technical problems. Few recommend getting the extended warranty to safeguard against these issues. Reviewers also feel that the washer is overpriced. Overall, the Electrolux EIFLS55I Front Load Steam Washer is a high-end, easy to use, washer that offers a wide range of wash cycles and customization features. It is fairly efficient and provides a good washing and spinning performance. Height (with 15" Pedestal) - 53"
Height (without 15" Pedestal) - 38"
Depth (to Center of Arc Not Including Hose) - 31-1/2"
Depth (with Door 90 degrees Open) - 50-3/5"
Great wash and spin options. The spin cycle really drys the clothes well. High spin cycle leaves clothes with less water content to save on dryer time thus saving money on your gas or electric for dry time. I think the shorter cycles just compromise an extra spin cycle which just leads to a longer drying time. Clothes are clean, machine is quiet and quick. Superior cleaning with the great option of deep clean/ sanitize. I've washed 2 king sized blankets at one time and YES they came out clean! You can put lots of towels in one load and they come out clean and practically dry from the high speed spin cycle. The extended warranty is a good investment for this product. We bought the extended warranty, in case anything goes wrong. I bought the 4 year extended warranty anyway because it was a pretty good deal. I read the few reviews about this washer before buying it and some people seem to have trouble with it but so far I've had none I bought this washer and love it. I'm glad I did, because if I read the reviews some people had I mightn't have bought it. So based on my own personal experience is why I bought this washer. This's the worst washer I ever bought. We read all of the reviews we could find online, and Electrolux was the only company with consistently positive reviews. 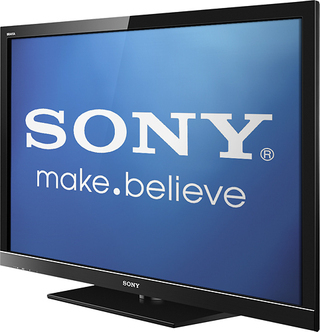 As a consumer who's used to no worries for at least 10 years, we bought this after the great reviews! Users love this washer Large drum capacity. I LOVE, LOVE, LOVE this machine. Anyway , I absolutely love love love this washer. It washes quickly, quietly, and can handle oversized comforters as well. I love our new steam washer! Machine cleans really well and uses very little water. The front load washer cleans well and uses less water. It truly saves water and drying time with the different cycles. It also has a option to clean the drum and water to always retain a clean smell. My water bill has been reduced as well. It's efficient, using less water and less time than our previous washer. Doesn't use a lot of water. Restarting the program allows to run through, so no water wasn';t really the issue. Would highly recommend the Electrolux laundry products. We've never had a issue of the washer smelling funky because of old water. This washer and the matching dryer replaced two stacked washer dryer machines. Correct swing on the doors makes it a snap to move clothes between washer and dryer. By reversing the doors, they now swing correctly so moving clothes from washer to dryer is a snap. Washer and dryer about 6 months old now. Our clothes come out smelling clean and looking clean every wash. One of the things that sold it for me was how quiet it was to open and close the doors! We bought the washer and matching dryer about 6 months ago, and they've been working fine since day one. Doors on Washer & Dryer are difficult to close with normal push, they'll only close when pushed gently on button!. No problems with mold or smell. Oh, and the push touch soap dispenser broke after one month and the loading door is very hard to get to stay closed. Both the washer and dryer have doors that often won't close even after two or three attempts. I'd highly recommend it to any one that's looking to purchase a washing machine. It's some incredibly fast wash times for the light soil settings. I highly recommend anyone buying a front loader to pull out the drawer and look at the bottom to see if a plastic clip is being used, if so DON'T BUY. My son purchase his machines first, he highly recommed them to me, and I'm so glad I listened. We needed a washer and we looked at all the other front loaders and this one is at the top. Pros Just purchased and used it for the first time today. Have washed 4 loads so far and it's doing a great job. Our next purchase will be the dryer to match the washer. They're easy to use and my clothes look cleaner and they come out of the dryer without needing any touch-up.